Album has been cleaned and play graded. Side 1 plays M- until final 2 minutes, when a small but acceptable amount of noise begins to appear. Side 2 plays M- until the final 4 minutes where noise becomes noticeable during the quiet passages. Cover is exceptional with only extrememly minor flaws. 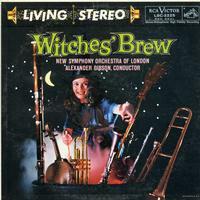 There is a worn spot on the catalog number on the spine and a slight discoloration above the 1st "E" in "Living Stereo".